The Village Church, Denton website warns people to arrive at least 30 minutes early for services that fill quickly–and they will turn people away if necessary. Such words served as a major incentive to arise early Sunday, Feb, 8, 2015, with plans to attend the 9 am service. I walked–it’s less than a mile for me, and I didn’t want to add to their parking problems, which the website indicates are significant. Arriving at about 8:25, I saw perhaps 10 cars nestled in the parking lot of the former Grace Tabernacle Church, which merged with The Village church in 2007. The throbbing of percussion from a practicing band inside reverberated in the early morning cool air. After finding the main doors locked, I entered via another door, seeing empty halls and an unpopulated, balconied auditorium with comfortable stadium seating for about 600. It did, however, eventually fill with enthusiastic worshipers. I learned during the announcements that real overflow takes place in the preschool area, the “Little Village,” where over 200 children need care during adult worship. Even more little ones arrive for the 11 am service, where they also suffer a teacher shortage. Yes, indeed, they do turn people away, one of the nicest problems a church can have, despite the fact that it urgently seeks a solution. The service followed the same pattern of other Acts 29 Network connected churches I have attended: a few praise songs, a prayer, approximately 45 minute message, an abbreviated time to partake of the Lord’s Supper and then a final song. 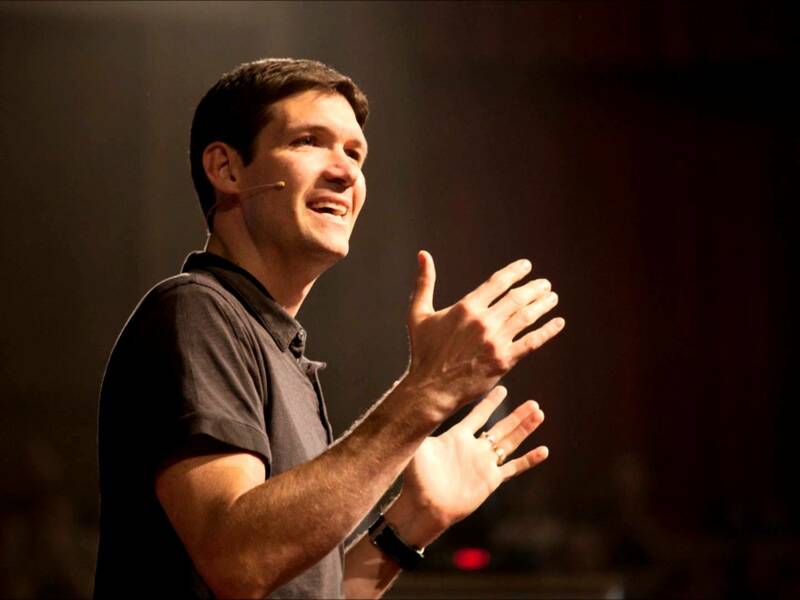 The sermon came in the form of a taped message from the well-known Matt Chandler, president of the Acts 29 Network and lead pastor of the Flower Mound based multi-site Village Church. Chandler began the first of a 12 week series on the New Testament book of James. Because the Denton campus is about to become independent from the main campus, this is one of the last sermons to be delivered by video here. A short professionally produced video showed the connection between faith and works. Chandler began the message with the tough news about a member in Flower Mound who had perished last week in a plane wreck, leaving behind a widow and numerous children. As Chandler emphasized that “suffering does not surprise God,” he mentioned that the music sung at their service that day, planned weeks before, was particularly appropriate to help bring comfort to the grieving family. Note: this is not the same music played at the Denton campus, so there was a bit of a disconnect. Chandler instructed us to open our Bibles. He read James 1:1. Using Luke 12:17 and Psalm 139:16, he explained how God is intimately acquainted with all our ways. Chandler contended that we have only two choices in life: either follow the one who opens the door to hell and destruction or follow Jesus into the fullest life possible. Without salvation, found only in the person and work of Jesus Christ, nothing else matters. Salvation divides the wise and foolish. The commands in the Bible are to be followed fully for they are God’s way of shaping us into God’s image. Chander then explained how the early church would have heard these words from James: read to the gathered community in their entirely, probably after a shared meal. Laughingly mentioning how brain dead we are all because of our enthrallment with current media, he challenged the congregation to sit and listen while he sought to reproduce that environment. For the next sixteen minutes, Chandler read the five chapter book of James from the English Standard Version of the Bible. In this version, the words of James are translated as addressed to “brothers” and to “men.” Most other modern translations use “brothers and sisters” and “men and women.” Use of a gender-exclusive translation is consistent with their stance that men and women are assigned different roles both in marriage and in the church. In both places, men/husbands are expected to be pastor/leaders and women/wives to take on complementary and submissive roles and responsibilities. After the message, the campus pastor, Beau Hughes, came to the stage and indicated that those who believe in the Gospel in the way it is preached at this church are welcome to come and retrieve a piece of bread from a basket and dip it into a container of grape juice at the various places where servers stood around the auditorium. He indicated the “gluten-free’s” would find a place in the foyer. Because I was not sure I fit their doctrinal standards adequately, I chose as a matter of respect not to come forward, but enjoyed the quiet music and worshipful moments that accompanied it. Primarily young, straight, white, slim and attractive people fill this place of worship, singing with enthusiasm and love for Jesus, the kind of congregation most pastors long for. The Village Church is to be commended for having done an excellent job of putting their brand of ministry in the center of Denton.